Completed 1944 as Pinnacles for United States Marine. 1948 purchased by Shell Canada. 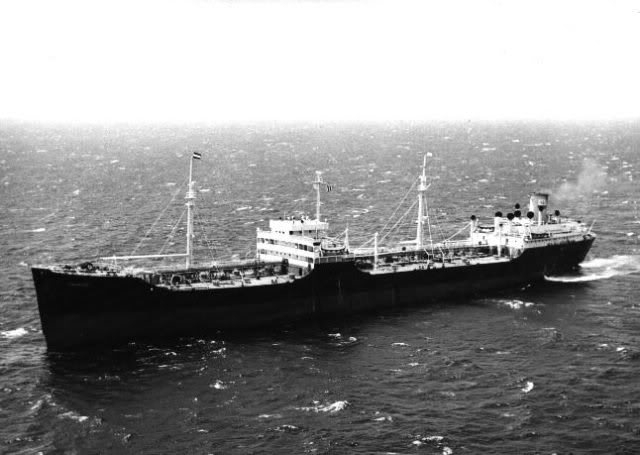 1961 sold to Antilles Steamship and converted to a chemical carrier. Renamed Alchemist. 1982 scrapped Aviles Spain. Have you sailed on Pinnacles? Log in and add yourself as a sailor to the Pinnacles! Log in and add your personal story to the Pinnacles!